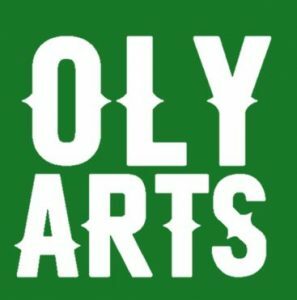 OLY ARTS is a platform dedicated to coverage of the amazing theater, arts and culture our community has created. OLY ARTS combines the quality content of an arts subscription magazine with the convenience of a free weekly paper. We deliver information about arts and culture in the South Sound in multiple mediums: in a quarterly PRINT edition, weekly ONLINE at OlyArts.com, in MOBILEapps and in a weekly arts and culture emailed NEWSLETTER. OLY ARTS is a guide to events BEFORE they happen, from the drama of Capital Lakefair to the eclectic beauty of the Procession of the Species and semiannual Olympia Arts Walk. The focus of our coverage is “hyper-local.” We cover Olympia artists FIRST, and highlight art created and expressed in this city. Whether you were born here or are visiting for the day, OLY ARTS is your expert guide to what’s happening in Olympia. Our print edition is hand-delivered by arts aficionados to local theater and concert patrons, while our weekly online updates are curated and customized to your interests. For advertisers and partners, OLY ARTS provides unique access to a highly-valued demographic of South Sound audiences and patrons. Our freelance writing staff is a locally based team of arts and culture experts with deep roots in the South Sound. Our team includes a former New York Times reporter, as well as freelance writers for theBellingham Herald, The News Tribune, The Olympian, The Pasadena Weekly, Seattle Weekly, Thurston Talk, and a variety of other publications. Established in 2015, OLY ARTS publishes our first issue in Summer 2016.